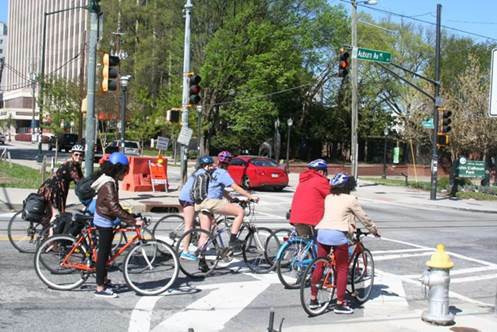 The School of Public Health at Georgia State University hosted a one-day conference in April 2016 to explore how to make Atlanta a more bike-friendly community. The conference, titled “Unifying Atlanta Through Cycling,” focused on the potential of bicycling to improve the lives of Atlantans through increased physical activity, improved traffic safety, better air quality, and reduced noise and roadway congestion. It also explored the possibility of an expanded, improved and better integrated bike network to unify Atlanta.